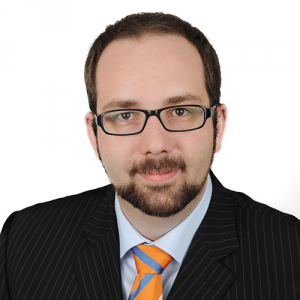 Peter Büschges works as a Senior Consultant at Partake Consulting GmbH. Partake delivers solutions for planning and reporting. After succesfully completing his studies of business administration at the University of Cologne with majors in controlling and corporate finance he initially worked as a controller. Since 2010 he has been developing and implementing individual and complex reporting and planning applications, using the IBCS® certified software arcplan. Various types of backend systems from different manufactures, i.e. Microsoft, SAP or Oracle are used in his projects. Within the DACH region he successfully completed business intelligence projects for Customers operating in the chemical, pharmaceutical, consumer goods and telecommunication industries. 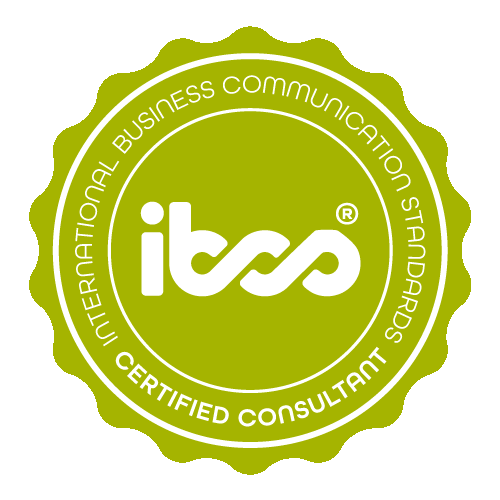 Peter Büschges has successfully completed the IBCS® certification for successful design of reports and presentations at the HICHERT+FAISST IBCS® Institute in September 2014. Profit and loss statment The report shows the profit and loss statement of the fictive ACME Ltd. for the actual and previous year using a waterfall chart. 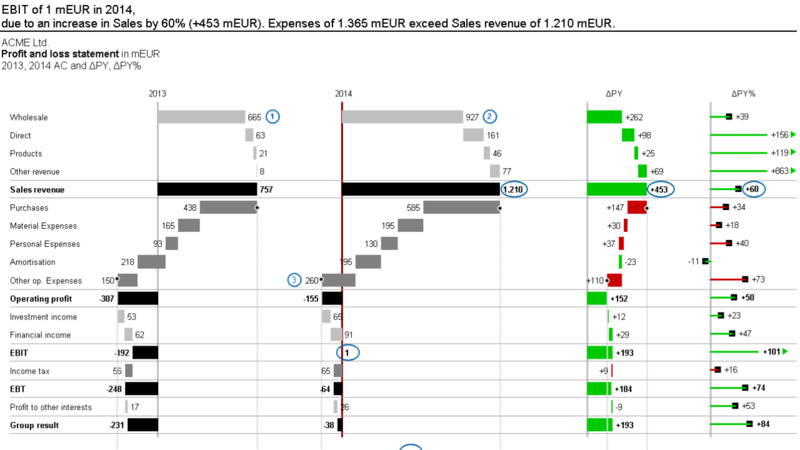 The absolute deviation between both periods, also visualized using a waterfall chart, and the deviation in percent (candlestick chart) can be seen on the right hand side of the report. Total costs are highlighted separately in the actual and previous year chart as well as in the absolute deviation waterfall chart. Comments and highlighting can be applied for each row (account) and each chart independently. Net sales by region Net sales of the fictive ACME Ltd.’s sales divisions Direct, Retail and Wholesale are shown in a stacked bar chart by country and region. 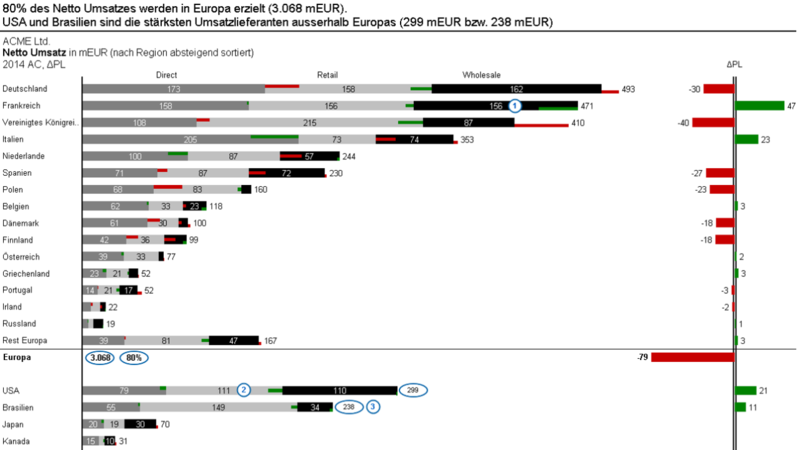 For each region the countries are sorted descending by the absolute net sales value. Integrated in the stacked bar chart are the absolute deviations from planned net sales of each sales division. On the right hand side of the report another bar chart shows the total deviation from planned net sales by country. Partake delivers solutions for planning and reporting.